Kuredu Island Resort on the northern reef of Lhaviyani atoll. An area famous for its beauty and abundant fish life. Photo copyright Kuredu Island Resort. 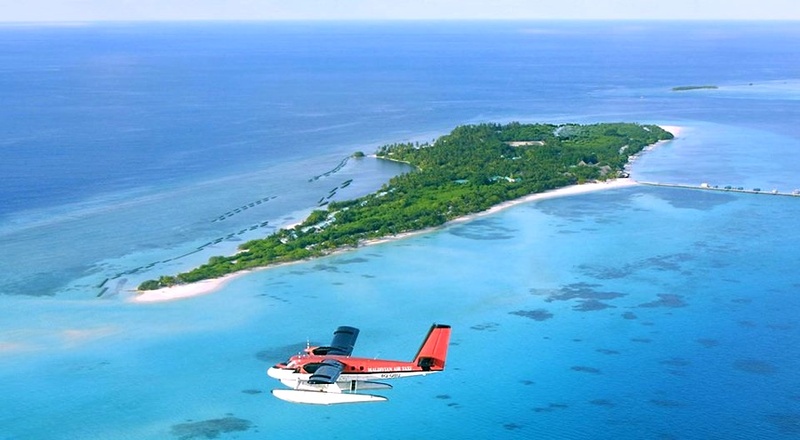 Kuredu is a large resort offering a multitude of room styles and activities. This area is famous for abundant sea life, making diving and snorkeling must do activities. Our guests choose from three resorts and nine categories of accommodation. Exotic Bungalows and wonderful Villas line the white sand beach in Kuredu Island Resort. Tastefully decorated O-villas in the modern O-resort , over the lagoon the fabulous Water Villas in Sangu Resort and in the centre of the island the magnificient Sulthan Pool Villas. Nine room types of accommodation is amazing variety to perfectly fit into your individual concept of holiday. Be it the location of your accommodation, the restaurant you wish to dine in, or the facilities in the room – the choice is all yours. Each of our bungalows and villas has traditional looks from without, and within the comforts aimed to provide a memorable holiday in paradise on earth. The facilities include air-conditioning, fan, telephone with international dialing facility, CD player with CDs for loan, coffee and tea making facility, safe deposit box, well stocked mini bar, shower with hot and cold water, sun chairs, sun loungers, etc. We have heard that the sure way to a man's heart is through his stomach, and we believe this is true. Therefore, we present four main restaurants, three à-la-carte restaurants, two coffee bars, five bars and room service. At Duniye Spa our philosophy follows a natural approach health and well-being. Our high-touch instead of high-tech approach honors the body's innate intelligence, embraces natures healing properties and infuses ancient beauty therapies.